Following its expansion of its Macclesfield office last year, Pegasus, part of UDG Healthcare, has grown its pharma and life science division by appointing six new hires. Coming from Ashfield Healthcare Communications’ sister agency Zoetic Science is Emily Berrington, who joins the Pegasus team as account manager. 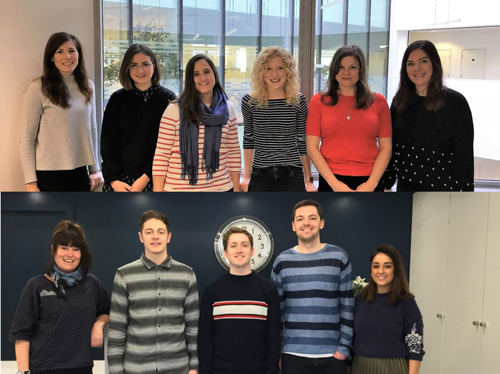 Additional new starters include: Senior account executive, Jack Newton, who joins from HAVAS Health; Kate Gerrard, former communications coordinator from Lighthouse Arts; junior account executive, Francesca McDaniel; and junior account executive Emma Fieldhouse. Jo Spadaccino, director and head of pharma and life sciences at Pegasus, said: “It’s been another great year of growth for the business and we’ve seen a large proportion of that growth coming from the pharma and life sciences sector. Alongside its new hires – Pegasus has also boosted its team with several internal promotions. Kesha Tansey, Yasmin Ghariani and Megan Hollingdale have all been promoted to senior account directors. Meanwhile, Trystan George has been promoted to account manager and Billy Johnson becomes the agency’s senior account executive. Spadaccino continues: “Our success is dependent on our people and their passion to deliver against our mission to inspire healthy decisions.